In medical terms, bibasilar atelectasis definition refers to a partial or complete collapse of a lung or both lungs. We have two lungs—the left and the right—both containing lobes. The left lung has two lobes, and the right lung has three lobes. There are tiny air sacs shaped like balloons containing blood vessels arranged in clusters throughout the lungs. These are called alveoli, which abnormally deflate due to an obstruction of the airflow with bibasilar atelectasis. It affects the bottom portions of the lungs. The life-threatening result occurs from a lack of oxygen reaching vital organs of the body. Although it is similar to pneumothorax, bibasilar atelectasis is caused by different conditions and situations. Pneumothorax can lead to bibasilar atelectasis. The word atelectasis comes from the Greek terms ateles and ektasis, which mean “incomplete” and “expansion,” respectively. There are multiple types of atelectasis, which correspond to the biological mechanisms that lead to the state of collapse. Resorptive (obstructive) atelectasis: A type of lung collapse caused by obstructed airways. Although blood flow continues, atelectasis results as oxygen and nitrogen gradually get absorbed. Relaxation atelectasis: This type occurs once negative pressure is lost in the pleural cavity, the thin, fluid-filled space between the lungs and the chest wall. The lung shrinks and becomes atelectatic due to its elastic properties. It is common in pleural effusion and pneumothorax patients. The negative pressure loss in the pleura makes the lung relax because of the elastic shrinking. Adhesive atelelctasis: A surfactant, a liquid that covers the inside of the lungs, reduces tension and keeps the alveoli open. However, the alveoli will collapse and become atelectatic when there is a surfactant deficiency. In a pulmonary embolism, the surfactant is impaired due to a lack of carbon dioxide and blood flow loss. Round atelectasis: Round atelectasis is also called Blesovsky syndrome, or folded lung. This unusual type of bibasilar atelectasis happens when the lung is trapped as a result of pleural disease while being devoid of air. It is common during asbestosis—a lung disease caused by the inhalation of asbestos particles. The particular way the lung collapses can often produce a false mass-like appearance. Cicatricial atelectasis: A type of bibasilar atelectasis that results from fibrosis or scarring that decreases lung expansion. In other words, alveoli will get trapped and lead to atelectasis in fibrotic disorders. Right middle lobe syndrome: Right middle lobe syndrome is also called chronic right middle lobe collapse. In this type, there is not a lesion obstruction. That being said, it is often linked to a number of diseases, including recurrent atelectasis, pneumonitis, and bronchiectasis of the middle lobe—a lung disease where there is permanent enlargement of parts of the airways. Discoid atelectasis: It is a partial collapse of the lungs in which the collapsed part doesn’t properly re-inflate and, as a result, is devoid of airflow. It is often a side effect of using anesthesia during surgery. It also happens in people who have had many surgeries or have been bedridden long term. Who Is at Risk for Bibasilar Atelectasis? Being younger than age 3 or older than 60; being born prematurely can also increase your risk. Impaired swallowing is also a risk factor, especially in older adults. Other lung conditions or medical disorders that affect breathing, such as pneumonia, respiratory distress syndrome, and neuromuscular diseases; sometimes, COPD (chronic obstructive pulmonary disease), asthma, and cystic fibrosis are also linked with atelectasis. Most people suffer from atelectasis due to being put under general anesthesia during surgery. There are also a number of other causes associated with bibasilar atelectasis. The causes of bibasilar atelectasis are divided into two categories—obstructive bibasilar atelectasis caused by a blocked airway and non-obstructive bibasilar atelectasis due to pressure from outside the lung. In obstructive bibasilar atelectasis, something is obstructing the airway, such as a mucus plug, foreign object, blood clot, narrowing airway, or an abnormal growth or damage to the lung. Read on to learn more about the potential causes of obstructive bibasilar atelectasis. An obstruction of lung functioning can come in the form of an inhaled environmental allergen which can cause the lungs to collapse, either partially or in a full capacity. During surgery, the lungs respond to medication by decreasing the rate of inflation, which allows mucus to gather and collect in the airway. Doctors will use suction to remove the mucus, but some can still collect afterward. Deep breathing exercises are done during recovery to expel the mucus. Mucus plugs commonly occur in patients with asthma and cystic fibrosis. A blood clot can cause bibasilar atelectasis if the blood escapes the bloodstream and enters the inside of the lungs. This is usually the result of a blunt force trauma to the chest. Certain chronic infections can restrict the air passages and cause scarring in the lungs. Some of these diseases include fungal infections, tuberculosis, and other lung diseases. An abnormal growth can also narrow the airways in the lungs. Damage to the lung walls can cause a collapse leading to bibasilar atelectasis. Air can escape from the lung into the space between the chest wall and the lung from diseases such as COPD or pneumonia. In non-obstructive bibasilar atelectasis, something is creating pressure from outside the lungs, such as a trauma or injury, anesthesia, pleural effusion, pneumothorax, pneumonia, scarring of lung tissue, or a tumor. Read on to learn more about the potential causes of non-obstructive bibasilar atelectasis. A direct hit to the ribs or lungs via an auto accident, stabbing, or gunshot may lead to lung compression. Other disruptions to lung function that may result in bibasilar atelectasis include a lung tumor, increased lung pressure, obesity, and the excessive use of cough suppressants, both prescribed and over-the-counter. One of the most common causes of bibasilar atelectasis is the effect of using anesthesia during surgical procedures. This is because anesthesia changes your regular breathing pattern while also interfering with the absorption of pressures and gases. In turn, this may cause some collapse in the alveoli of your lungs. In addition to preventing pain sensations and controlling blood flow, heart rate, and blood pressure, anesthetics medications also control the breathing technique of the lungs. The ability to take in air is reduced in this state, thus causing bibasilar atelectasis. This occurs when there is fluid build-up between your chest wall and lining of the lungs known as the pleura. As a result, the lungs are prevented from inflating. Pneumonia is a lung infection due to viruses, fungi, or bacteria. When the alveoli fill with pus or fluid, breathing becomes difficult. As a result, the various types of pneumonia may temporarily cause non-obstructive atelectasis. Pneumothorax happens when air leaks from the lungs and into the space between your lungs and chest wall. Indirectly, this causes difficulties in lung inflation and leads to some kind of lung collapse, or atelectasis. 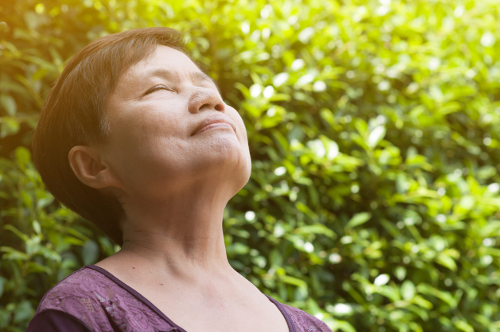 Surgery, injury, or lung disease can cause scarring of lung tissue. Atelectasis is thought to be minor when compared to the lung tissue damage caused by the scarring. A large tumor may not block the airway, but it can put pressure against the lung, causing it to deflate. Since doctors may misdiagnose bibasilar atelectasis as pneumothorax, a proper diagnosis requires explicit testing. You can expect a complete blood count test, a performance test of the kidneys, serum electrolytes check, and a physical examination. CT scan: A chest computed tomography (CT) scan makes precise pictures of your chest structures. Although a chest CT scan is a type of X-ray, it shows more detail than a standard chest X-ray. A CT scan also determines whether a tumor may have caused the lung to collapse, which is something else you may not see in a normal X-ray. Chest X-ray: A chest X-ray is a common way to diagnose bibasilar atelectasis. A foreign object can sometimes be seen in a chest X-ray. Bronchoscopy: When bibasilar atelectasis has been present for a long time, the doctor may use a bronchoscopy to look inside your airway. In this procedure, the doctor uses a thin and flexible tube called a bronchoscope. A light and small camera on the device will allow the doctor to see inside the airway. At this time, the doctor can remove any blockage that is found, like a foreign body, mucus plug, or tumor. Oximetry: This simple test will use a small device that is placed on one of your fingers. The device will measure oxygen saturation in the blood. Treatment of bibasilar atelectasis will depend on the underlying cause. We’ll examine in detail some of the treatment options for bibasilar atelectasis based on the particular cause. When atelectasis is caused by surgery, your doctor may recommend certain steps to help you expand your lungs. For instance, deep breathing exercises are very important after surgery. A device called an incentive spirometer may be used to measure the speed of breathing and how much you’re breathing. It is also a good idea to sit up or walk around immediately after surgery. Also, coughing will help clear mucus and other substances from the airways. Other devices your doctor may suggest to help keep the airways open include continuous positive airway pressure (CPAP) and positive end-expiratory pressure (PEEP) machines. When atelectasis is caused by a blockage, treatment will aim to relieve or remove the blockage. Your doctor will remove the blockage from an inhaled object during a bronchoscopy. When a mucus plug blocks your airways, suction may be used to remove it. Other treatments used to clear excess mucus from the lungs include postural draining, chest clapping or percussion, and certain medications designed to open the airways or loosen mucus. In the case of non-obstructive bibasilar atelectasis, your doctor will treat the cause of the pressure. For instance, when the cause is fluid build-up or a tumor, the doctor will simply remove the build-up or tumor. As a result, the lung will fully expand. Your doctor may also treat the underlying cause with other procedures, medicines, or therapies when a lung condition or other medical disorder causes the bibasilar atelectasis. In the case of a cancerous tumor, treatment may include surgical removal, radiation, or chemotherapy. You can prevent bibasilar atelectasis by not ingesting foreign objects and avoiding the use of tobacco, as well the use of anesthetic services when unnecessary. Bibasilar atelectasis can be a frightening condition that may lead to a complete lung collapse in extreme cases. Seen mostly in post-surgical recovery, the use of anesthetics can greatly affect lung functioning and airway passages. Health conditions and injury to the lungs can also bring upon bibasilar atelectasis. Mild conditions do not need treatment, while more serious cases require surgery. If not treated, there are various bibasilar atelectasis complications that can develop into something more severe. The following are possible complications you need to keep in mind. Low blood oxygen (hypoxemia): Low blood oxygen is also called hypoxemia. It develops when atelectasis impacts the amount of oxygen being received by the alveoli. Respiratory failure: Bibasilar atelectasis in a small area is often treatable, especially in adults. That being said, in someone with a lung disease, bibasilar atelectasis can be deadly if it affects a large enough area of the lung. Lung scarring: The lung needs to be re-inflated after it has collapsed. But at times, re-inflating the lung fails to heal the damage left from the scarring. As a result, this may lead to bronchiectasis. Pneumonia: Pneumonia can cause bibasilar atelectasis, but it can also be a major complication as well. The mucus within a lung affected with bibasilar atelectasis is a popular dwelling for numerous bacterial infections, and this can lead to pneumonia. Bibasilar atelectasis is a partial or complete collapse of one or both lungs. The various types of bibasilar atelectasis include resorptive obstructive atelectasis, relaxation atelectasis, adhesive atelectasis, round atelectasis, cicatricial atelectasis, right middle lobe syndrome, and discoid atelectasis. The various causes of bibasilar atelectasis are divided into two categories—non-obstructive bibasilar atelectasis due to pressure from outside the lung and obstructive bibasilar atelectasis caused by a blocked airway. A mucus plug, blood clot, foreign object, narrowing airway, or an abnormal growth or damage to the lung are among the causes of an obstructive bibasilar atelectasis, while a trauma or injury, pleural effusion, anesthesia, pneumothorax, pneumonia, scarring of lung tissue, or a tumor can cause non-obstructive bibasilar atelectasis. The treatment of bibasilar atelectasis will depend on the underlying cause. When left untreated, bibasilar atelectasis can lead to complications like low blood oxygen, lung scarring, respiratory failure, and pneumonia. “Atelectasis,” Meddean; http://www.meddean.luc.edu/lumen/meded/medicine/pulmonar/cxr/atlas/atelectasis.htm, last accessed March 6, 2018. Weerakkody, Y., et al., “Right middle lobe syndrome,” Radiopaedia; https://radiopaedia.org/articles/right-middle-lobe-syndrome, last accessed March 6, 2018. “Atelectasis,” National Heart, Lung, and Blood Institute; https://www.nhlbi.nih.gov/health-topics/atelectasis, last accessed March 6, 2018.